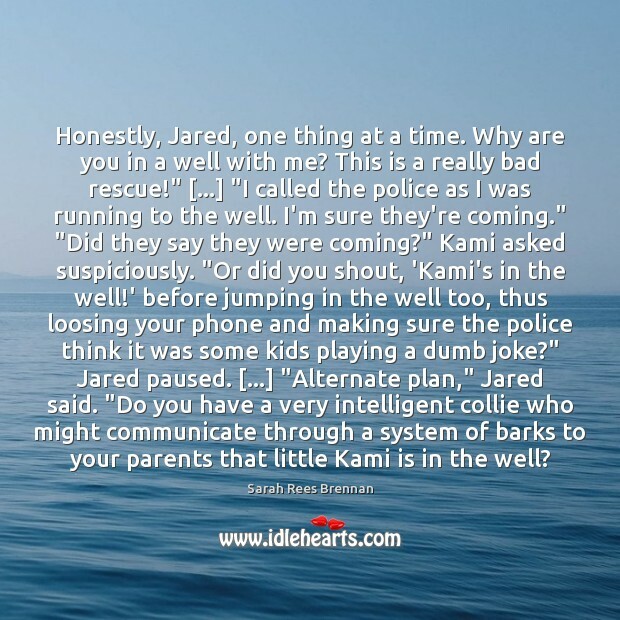 Quotations about Alternate. Quotes to stimulate mind and drive action! Use the words and quote images to feed your brain inspiring things daily! 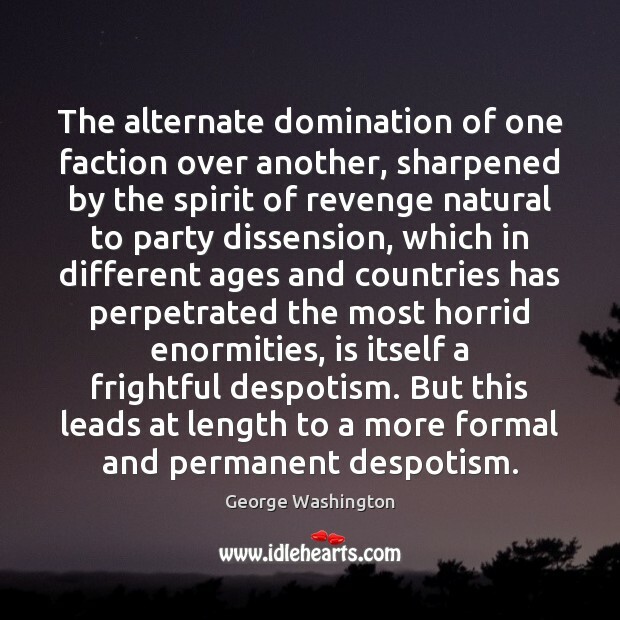 It is difficult to conceive any situation more painful than to watch the lingering agony of an exhausted country, to tend it during the alternate fits of stupefaction and raving which precede its dissolution, and to see the symptoms of vitality disappear one by one, till nothing is left but coldness, darkness, and corruption. The future. Space travel, or cosmology. Alternate universes. Time travel. Robots. Marvelous inventions. Immortality. Catastrophes. Aliens. Superman. Other dimensions. Inner space, or the psyche. 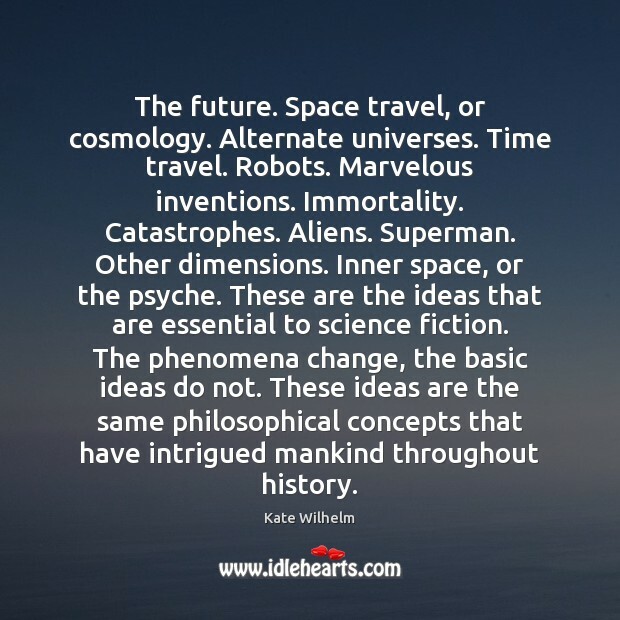 These are the ideas that are essential to science fiction. The phenomena change, the basic ideas do not. These ideas are the same philosophical concepts that have intrigued mankind throughout history. Besides the alternate universe offered by a book, the quiet space of a museum was my favorite place to go. 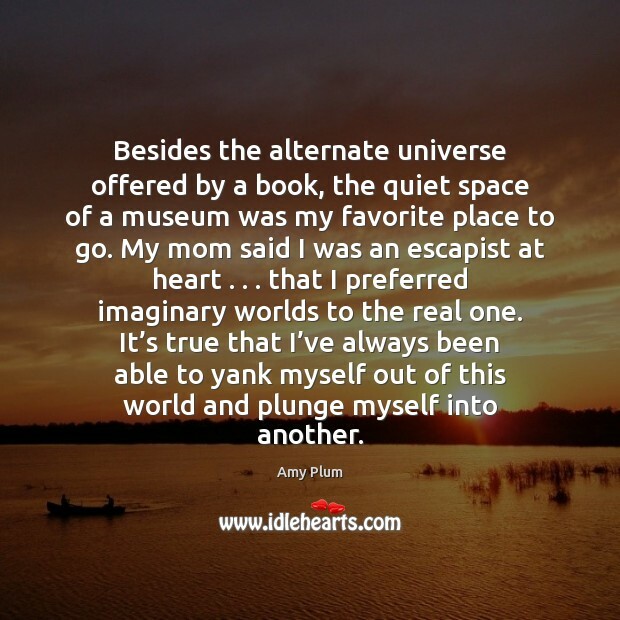 My mom said I was an escapist at heart . . . that I preferred imaginary worlds to the real one. It’s true that I’ve always been able to yank myself out of this world and plunge myself into another. 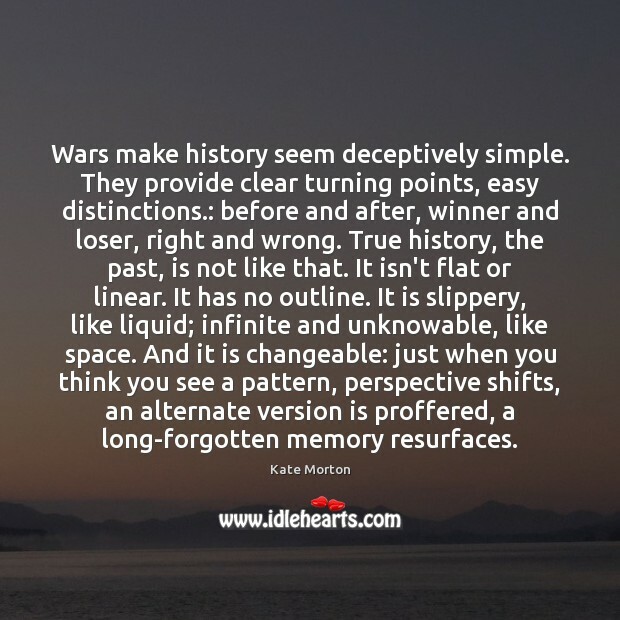 Wars make history seem deceptively simple. They provide clear turning points, easy distinctions. : before and after, winner and loser, right and wrong. True history, the past, is not like that. It isn't flat or linear. It has no outline. It is slippery, like liquid; infinite and unknowable, like space. And it is changeable: just when you think you see a pattern, perspective shifts, an alternate version is proffered, a long-forgotten memory resurfaces. 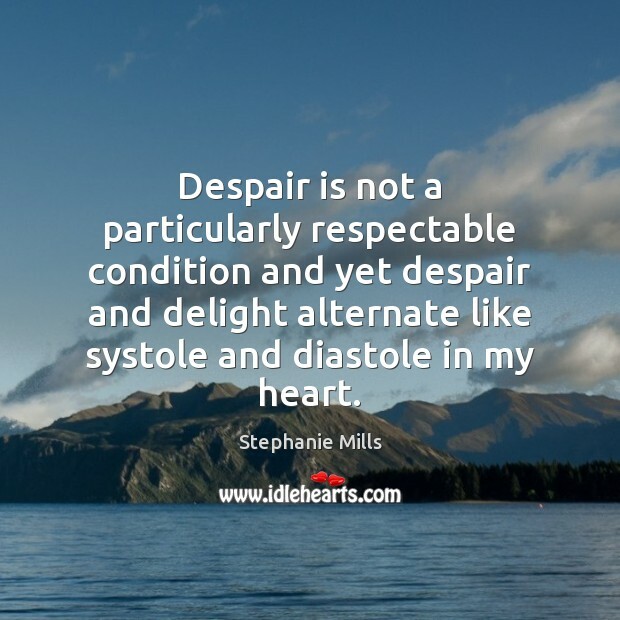 Despair is not a particularly respectable condition and yet despair and delight alternate like systole and diastole in my heart. 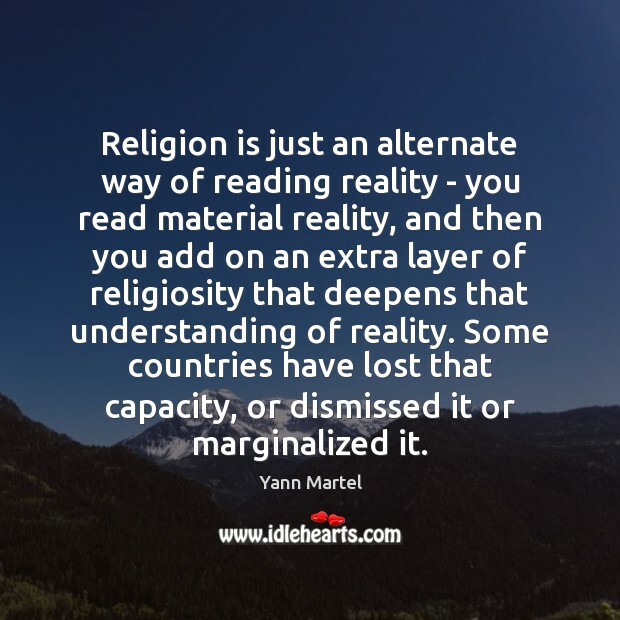 Religion is just an alternate way of reading reality - you read material reality, and then you add on an extra layer of religiosity that deepens that understanding of reality. Some countries have lost that capacity, or dismissed it or marginalized it. You learn in America to speak two ways. You learn in public discourse not to be very specific about your religious life. 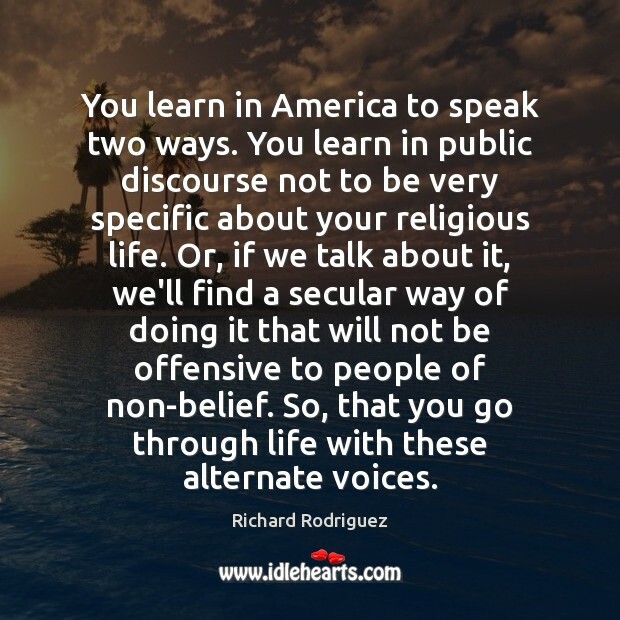 Or, if we talk about it, we'll find a secular way of doing it that will not be offensive to people of non-belief. So, that you go through life with these alternate voices. You've got to deal with the world with all of its troubles, while you've still got this alternate image. 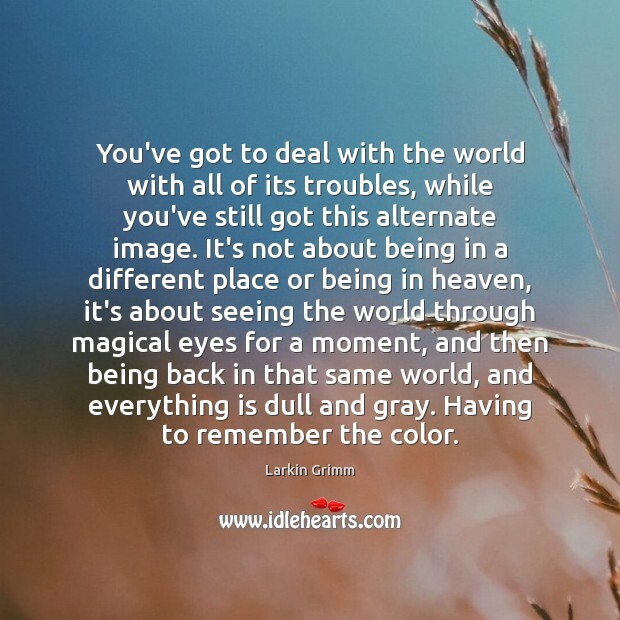 It's not about being in a different place or being in heaven, it's about seeing the world through magical eyes for a moment, and then being back in that same world, and everything is dull and gray. Having to remember the color. 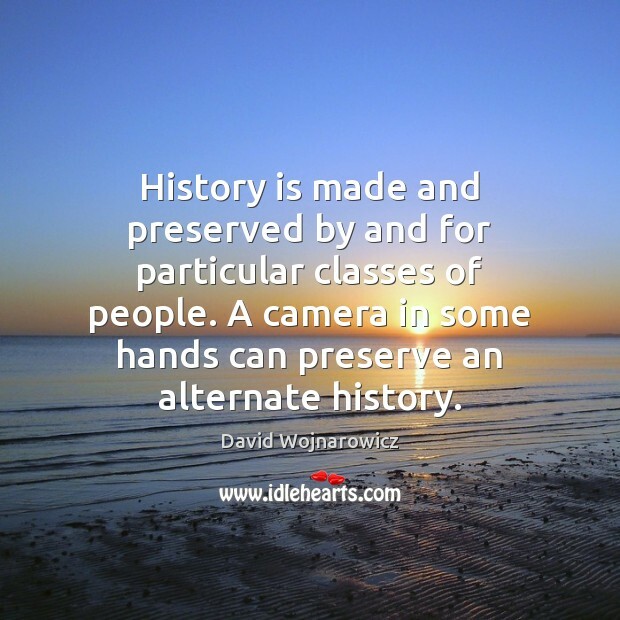 History is made and preserved by and for particular classes of people. A camera in some hands can preserve an alternate history. The dismaying truth is that birtherism is part of a larger pattern of rejection of reality that has taken hold of intimidating segments of one of the two political parties that alternate in power in our governing institutions. 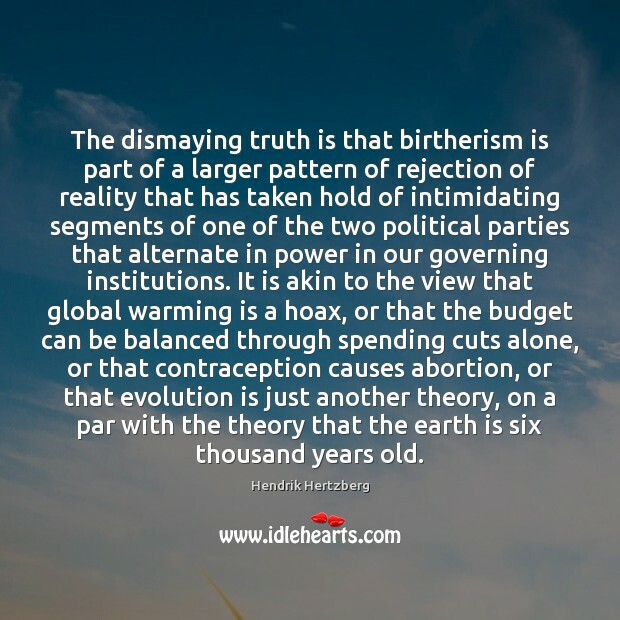 It is akin to the view that global warming is a hoax, or that the budget can be balanced through spending cuts alone, or that contraception causes abortion, or that evolution is just another theory, on a par with the theory that the earth is six thousand years old. The thing that pleases me the most about it is that young people like it. It's given kids from 6 to 16 an alternate view of music to what's been available for the past 20 years. The intellect searches out the Absolute order of things as they stand in the mind of God, and without the colors of affection. 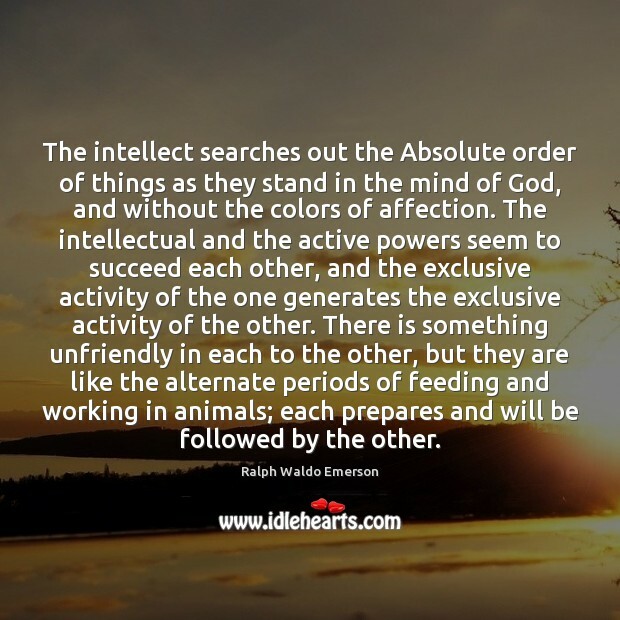 The intellectual and the active powers seem to succeed each other, and the exclusive activity of the one generates the exclusive activity of the other. There is something unfriendly in each to the other, but they are like the alternate periods of feeding and working in animals; each prepares and will be followed by the other. 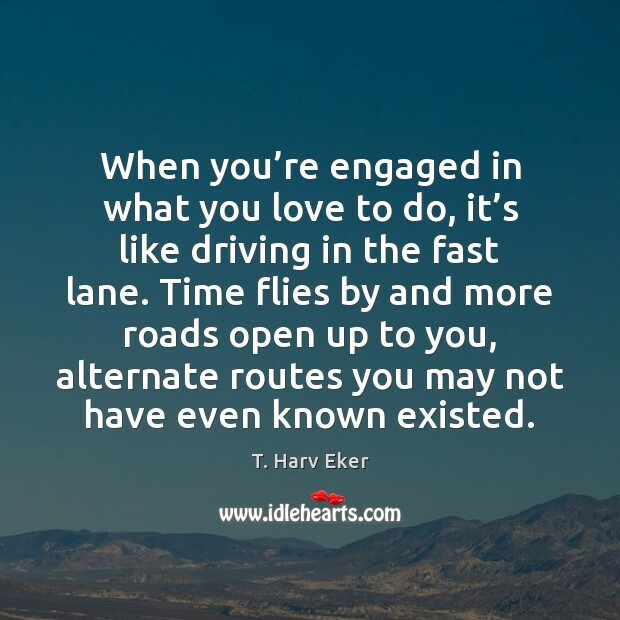 When you’re engaged in what you love to do, it’s like driving in the fast lane. Time flies by and more roads open up to you, alternate routes you may not have even known existed. 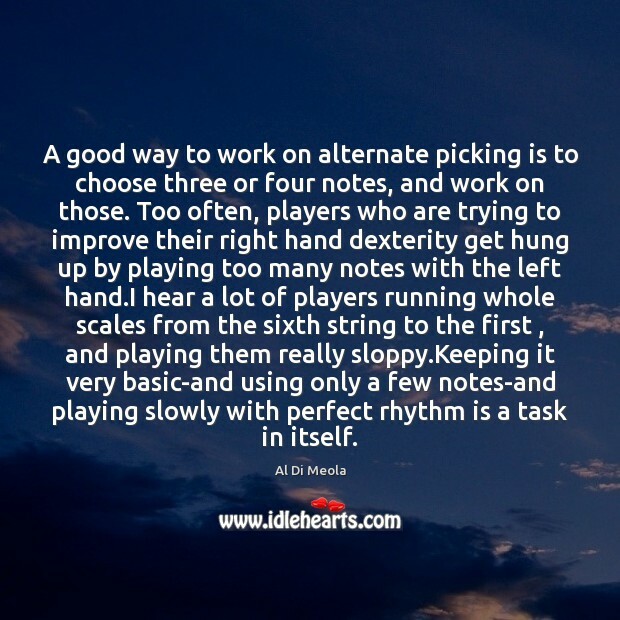 A good way to work on alternate picking is to choose three or four notes, and work on those. Too often, players who are trying to improve their right hand dexterity get hung up by playing too many notes with the left hand.I hear a lot of players running whole scales from the sixth string to the first , and playing them really sloppy.Keeping it very basic-and using only a few notes-and playing slowly with perfect rhythm is a task in itself.